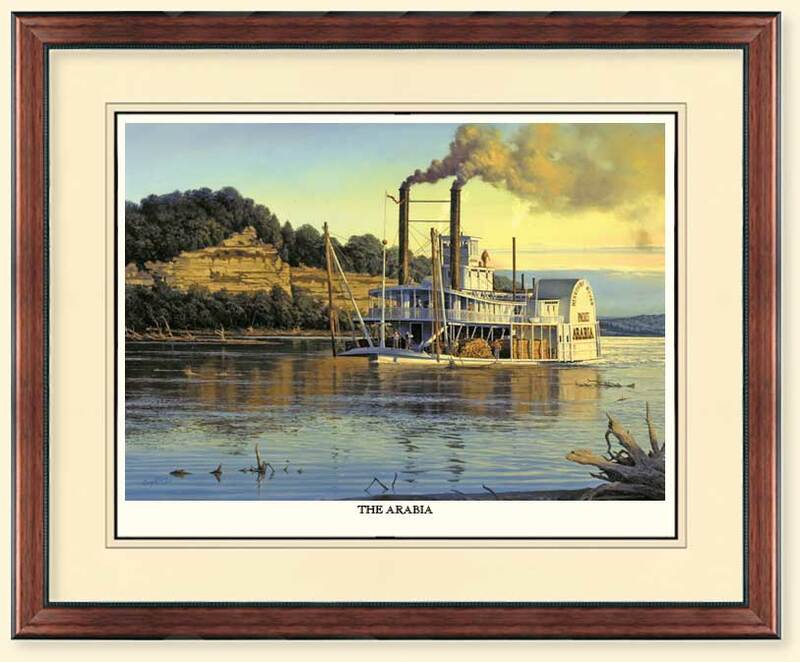 The Arabia is an example of the tough steamboats that plied the Missouri River in the mid 1850's. 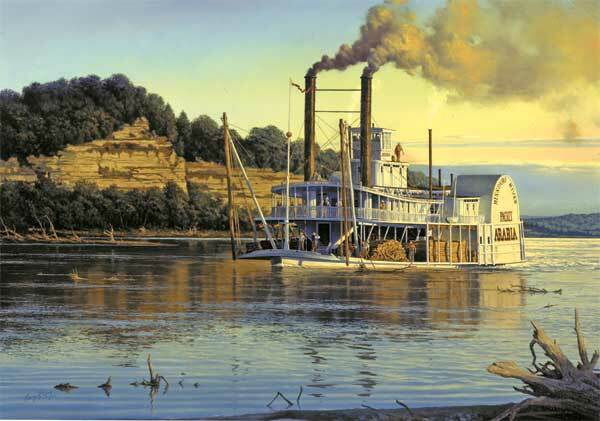 These steamboats carried goods that built the early settlements of the West. The Arabia sank in the Kansas City area in 1856. The image to the right is a painting I created for the Arabia Museum in Kansas City. Be sure to stop and visit the museum on your next trip to Western Missouri. You'll be glad you did.